Monument Valley – or how wide’s the sky? 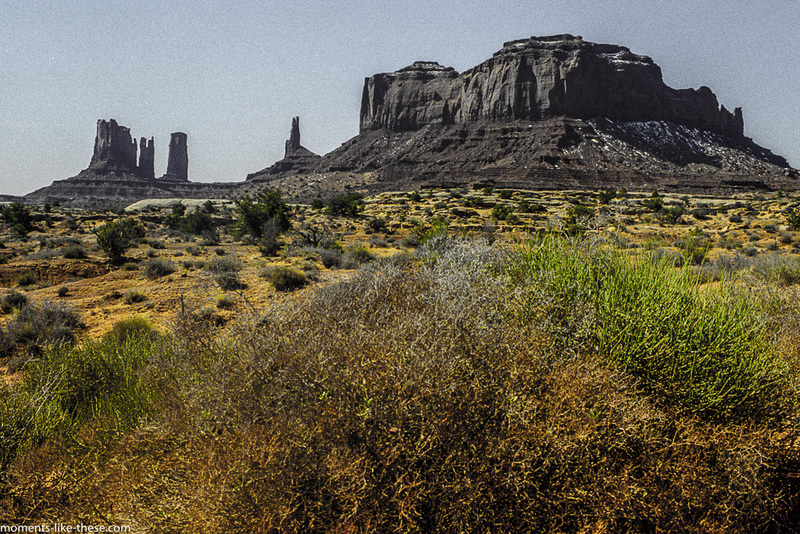 To finish off this sequence of scanned and digitally curated images from the 1990s, I’m sharing with you a group of 6 images that I captured at perhaps the most famous “western” scenery that you’ll ever see – Monument Valley on the Arizona-Utah boundary. In fact you’ve seen it many times before, in many movies. This entry was posted in Landscape, Trips and tagged 1999, Arizona, butte, USA, Utah, western movies.